When there’s not enough time for in-person classes, you can enroll for Drivers Ed offered by driving school online. Georgiateenagers are required by Joshua’s law to take 30 hours of Drivers Education in addition to 40 hours of supervised driving, and when you factor in after-school obligations and parents’ work schedules, that doesn’t leave a lot of opportunity to get to in-class Drivers Ed. Thankfully, there are Drivers Ed online, like the one we offer, as alternatives. 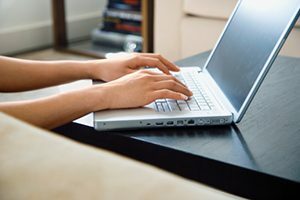 There are a number of benefits to attending Drivers Ed online, not the least of which is the opportunity to fit the Georgia-required education into your own schedule and complete them from the comfort of your own home, or any where else convenient. You can complete the work at your own speed, and time and, once you’ve completed all the modules, you can take the final exam as many times as needed at no extra cost. Our Drivers Ed is a DDS-licensed online Drivers Education course that focuses on defensive driving techniques and driver safety allowing teens to learn superior driving skills, structured around proven defensive driving techniques, with a main focus on changing driver attitudes to reduce traffic collisions caused by human error. So you’ll be gaining knowledge that will help you greatly in your behind the wheel driving practices. 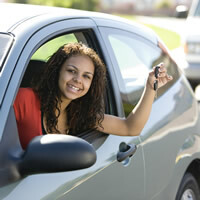 Taking Drivers ED online is convenient and flexible. Every Georgia teen deserves the opportunity to take the required courses without having to bend over backwards to get to a physical location, and to spend a significant duration of time in-class. If you’d like to get your driver’s license but aren’t sure how to make the classes fit into your schedule, consider an inexpensive driving school online program like ours. You’ll be out on the open Georgia road in no time once you finished our Drivers Ed online! Enroll today!